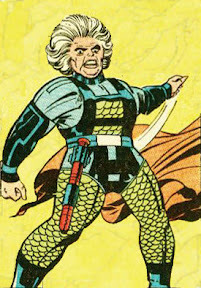 Is there anyone who doesn't think that Granny Goodness is a terrific costume for J.R.? Anyone? Yes, lowlie child? You in the green and yellow outfit? Did you have something to say? 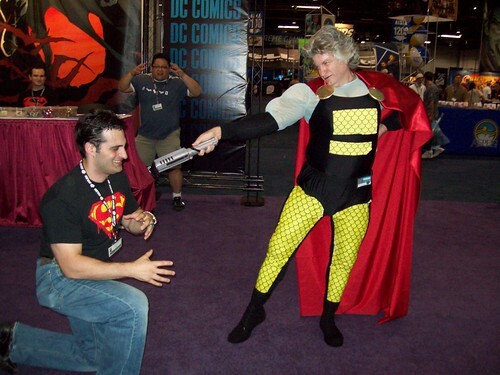 ...I'm pleased to present this year's costume for Wizard World: Granny Goodness. 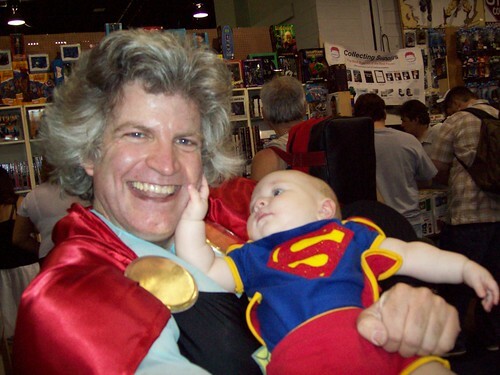 There's more to come as I find time to blog under the Granny Goodness label. And I'm sure there will be other people blogging and posting about the costume. It was a real hit and lots of people wanted to have their picture taken with Granny. Like this little child from, oh what was that planet's name? Oh, yes. From Krypton.